The primary purpose of the Kappa Kappa Gamma Charitable Foundation of Houston is to attract and generate financial support for distribution to charitable organizations that meet the established philanthropic guidelines. The Kappa Kappa Gamma Charitable Foundation of Houston (“the Foundation”) was established in 1980 by the leadership of the Kappa Kappa Gamma Alumnae Association of Houston. The purpose of the Foundation is to encourage and support the efforts of charitable organizations and programs for the betterment of the community. 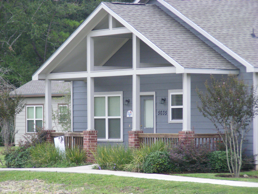 It is the primary policy of the Kappa Kappa Gamma Charitable Foundation of Houston to support IRS code 501(c)(3), 170(b)(1)(A) (V) and 170(c)(1) tax-exempt organizations involved in offering rehabilitation which meet the established criteria of the Foundation. This includes non-profit agencies that assist those who are physically handicapped, mentally challenged, socially disadvantaged, emotionally disturbed and the aged. Except for isolated incidents involving special circumstances, the Foundation confines its grants to organizations situated or having significant presence in the Houston Metropolitan Area. Over the past 35 years, the Foundation has granted nearly $3 million to a variety of deserving non-profit organizations in the Houston community through monies raised by our signature biennial fund-raising event, the Holiday Pilgrimage Home Tour. More than 50 community agencies, both large and small, have received support from the foundation to provide essential care, equipment, programs, supplies, rehabilitative services, and scholarships. Past grant recipients include the following agencies: BEAR (Be a Resource for CPS Kids), Bo's Place, Boys and Girls Country, Camp for All, Casa de Esperanza, Literacy Advance of Houston, Sheltering Arms, TIRR/Memorial Hermann, The Brookwood Community, The Rose, Texas Children's Hospital, Wellsprings Village, and Yellowstone Academy. MISSION: BEAR ... BE A Resource for CPS Kids is a nonprofit organization that offers hope and help to abused and neglected children and the caseworkers who protect them. BEAR provides emergency goods and services directly to children under the care of Child Protective Services (CPS) in Harris County and support to the caseworkers who serve them. 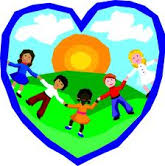 MISSION: To Provide healthy, comprehensive residential care for children and families in crisis. 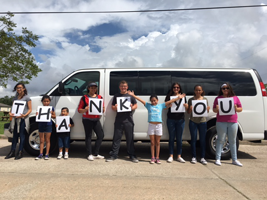 PROJECT FUNDED: 15-passenger van for houseparent to use for daily living. 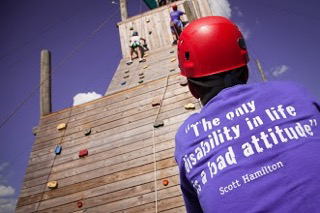 MISSION: Camp or All is a unique barrier free camp working year round in partnership with other nonprofit organizations to enrich the lives of children and adults with challenging illnesses or special needs and their families. PROJECT FUNDED: Ford F156 4X4 Truck for hauling heavy loads. MISSION: To advocate throughout the community and provide the financial support necessary for underprivileged abused children to receive sound professional counseling and experienced legal counsel to restore their minds and help build a better future. PROJECT FUNDED: Video technology for emotional abuse training. MISSION: To empower women to achieve economic independence by providing a network of support, professional attire and development tools to help women thrive in work and life. PROJECT FUNDED: Pearl sets, stamped thank-you cards, and portfolios. MISSION: To provide superior yet affordable residential and support services to children and adults with intellectual and developmental disabilities. 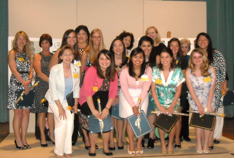 MISSION: The Houston Alumnae Panhellenic Foundation is committed to helping fraternity women in financial need for the purpose of continuing their education. These women must meet the established guidelines of the Foundation. The funds for scholarships and other financial assistance are generated from fundraising events, grants, donations, and bequests. PROJECT FUNDED: Scholarships to deserving collegiate women. 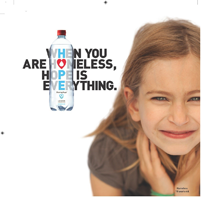 MISSION: To physically and spiritually hydrate America’s homeless by providing specially branded recyclable bottles of water with an inspirational word. MISSION: to provide research based behavioral intervention and instruction for children and adults with autism and other related delays, endeavoring to cultivate their learning and social skills to facilitate their inclusion in the community and inspire them to become productive citizens. 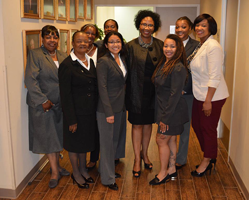 MISSION: To enhance the lives of Kappa women, and therefore their communities, by providing funds for educational programs, scholarships, financial aid and the preservation of Kappa heritage within the context of women's history. PROJECT FUNDED: Financial aid to undergraduate Kappas. MISSION: The Nehemiah Center’s mission is to provide assistance to low income families who are invested in seeking a better future for their children through education, emotional wellness and spiritual enrichment. 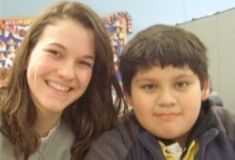 The Center strives to provide services to assist children in overcoming barriers to their academic success. PROJECT FUNDED: Breakfast, lunch and dinner for one year for 180 kids. 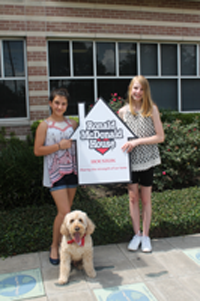 MISSION: Home away from home providing care, compassion, and hope to families with seriously ill children being treated in Texas Medical Center and member institutions. MISSION: To improve the quality of life for those with special needs through therapeutic horsemanship activities and therapies, and educational outreach. 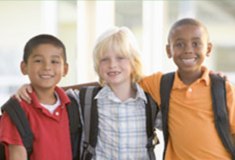 MISSION: Small Steps' mission is to provide an exemplary early childhood program to instill and foster the social, emotional, physical, intellectual, and spiritual growth of economically at-risk children and their families. PROJECT FUNDED: Carseats for transportation program. MISSION: To reduce the devastating impact of heart and vascular disease on women through a coordinated program of education, research, treatment and prevention strategies. 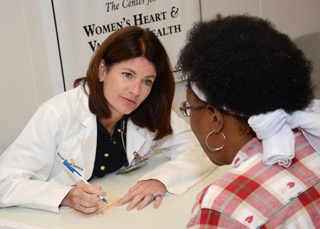 To empower women to take ownership of their cardiovascular health and live a heart-healthy lifestyle, THI’s CWH provide comprehensive cardiovascular disease risk factor screenings and targeted education in a neighborhood outreach setting through the Houston Heart Reach for Women project. PROJECT FUNDED: Outreach Program - Spanish/English Materials providing targeted education for women about their risk factors for cardiovascular disease. MISSION: Trees of Hope was founded in 1990 as a non-profit 501(c)(3) organization with the specific purpose to conduct fundraising activities for the exclusive benefit of Star of Hope, Houston's largest agency for the homeless. 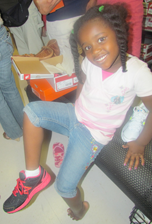 PROJECT FUNDED: Socks and shoes for kids. MISSION: To provide a safe, growth-oriented residential environment for homeless and abused women. To seek to empower them to become economically and emotionally self-sustaining, contributing members of society.